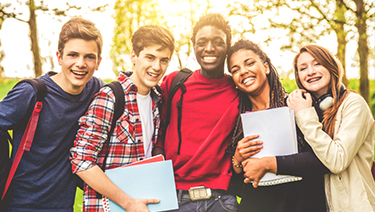 ​Teenagers and young adults are at a critical developmental stage and yet many of them face significant obstacles in obtaining adequate health care because of a limited scope of insurance benefits, high cost sharing and insufficient confidentiality protections, according to a policy statement published by the American Academy of Pediatrics. The statement, "Targeted Reforms in Health Care Financing to Improve the Care of Adolescents and Young Adults," to be published in the December 2018 issue of Pediatrics, provides an overview of the issues and recommendations for reform. The policy statement notes that two pieces of federal legislation enacted in 2008 and 2010 helped improve health care coverage of adolescents and young adults but have fallen short in some areas. In the first quarter of 2016, 13.7 percent of individuals 18 to 24 years old still lacked health insurance. Disparities in health care plans and state Medicaid programs persist, as well as insurance cost barriers such as high-deductible health plans. Mental and behavioral health care and sexual reproductive services are critical for adolescents and young adults, yet appropriate services are frequently very challenging to access or even not available, often due to persisting inadequate insurance coverage. The statement also recommends that health plans provide preventive services without member cost sharing and reduce or eliminate cost sharing for visits related to anticipatory guidance and/or treatment of mental, behavioral, sexual, and reproductive health. Finally, payers should ensure that billing practices guarantee confidentiality of services so as not to discourage adolescents and young adults from accessing care.